Alethea has over 19 years of Sales and Marketing experience at brands including Hilton, Marriott Starwood, Ritz-Carlton and independent properties. Alethea recently returned to Packard after a short leave to work for Marriott and TravelClick. Before originally joining Packard in 2008, Alethea was the Area Director of Business Travel for Manhattan Hilton properties overseeing the Doubletree Times Square, Doubletree Metropolitan, Embassy Suites Hotel NYC, Hampton and Hilton Garden Inn Times Square. Prior to this, Alethea was the Director of Sales and Marketing at the Embassy Suites New York City. Alethea's primary responsibility at Packard is to strategically support and develop the direct sales effort for all hotels in the Packard portfolio by monitoring sales and marketing initiatives. She also oversees the marketing efforts for The Packard Companies. Alethea has a Bachelor's degree in Communications/Advertising and Public Relations from Penn State University. Alethea also received sales excellence and leadership awards from Ritz-Carlton, Hilton Hotels and Embassy Suites. Shetal “Zina” Patel is a second-generation hospitality professional. Her family has been in the Los Angeles area for the past 40+ years and have a few independent and franchised hotels in California and Texas. Zina holds a degree in Business Administration with a double concentration in Management Science Information Systems and Finance from California State University, Fullerton. She also has a background in Civil Litigation, working for a Law Firm based out of Los Angeles for over 10 years. Zina is a member of the Red Roof Circle of Excellence, where she won the Operator of the Year for 2016. Zina teaches her staff that there is a true value of delivering exceptional service by leaving a lasting memory of yourself, your hotel and your brand to everyone you meet! Born in Oklahoma and having Indian and Zambian roots, Nimisha is a second-generation hotelier who started in the hospitality business with her parents’ independent motels. She earned a bachelor’s degree in Finance with a minor in Ecomonics from the University of Florida. Initially working in corporate Finance, Nimisha began back into the hotel industry managing with daily operations at a Best Western. Today, Nimisha is a managing partner of Vue Hotels where she oversees operational and development responsibility with a team of more than 75 employees. She and her husband, Ajay, own and operate several hotels throughout the San Antonio and surrounding area. A member of AAHOA since 2006, Nimisha now serves as a Director at Large. She is also a governor for Best Western International and is an active member in her community for non–profits such as the Junior League of San Antonio and GSSA. Nimisha currently resides in San Antonio, Texas with her husband, Ajay, and their three children, Krish, Sai & Mira. Lina Patel’s goal is to climb mountains and her passion is to serve. Born and raised in India, Lina immigrated to the United States in the early 80’s with her parents. She grew up working in the hotel, cleaning rooms, doing laundry, working front desk shifts, and even mowing the lawn. She remembers coming home after school and immediately racing to the hotel lobby to begin her shift. Lina graduated from Wright State University with a degree in Management Information Systems and immediately started working with Lexis-Nexis, the online database company, to gain Corporate knowledge. Ultimately, she rejoined the hotel industry and started investing in multiple franchises across the Eastern United States. Lina served as an AAHOA regional ambassador program for 6 years, and she was elected by the members to serve as AAHOA Female Director at Large to represent the Eastern Division. For almost a decade, Lina has served on the Executive Board of LPS of USA, a community organization, representing Leuva Women…she was the first woman elected to serve on this cultural organization that was created by the same fore father who created AAHOA! Lina currently has investments in Days Inn, Red Roof Inn, Sleep Inn, and Holiday Inn Full service, located across the eastern United States. 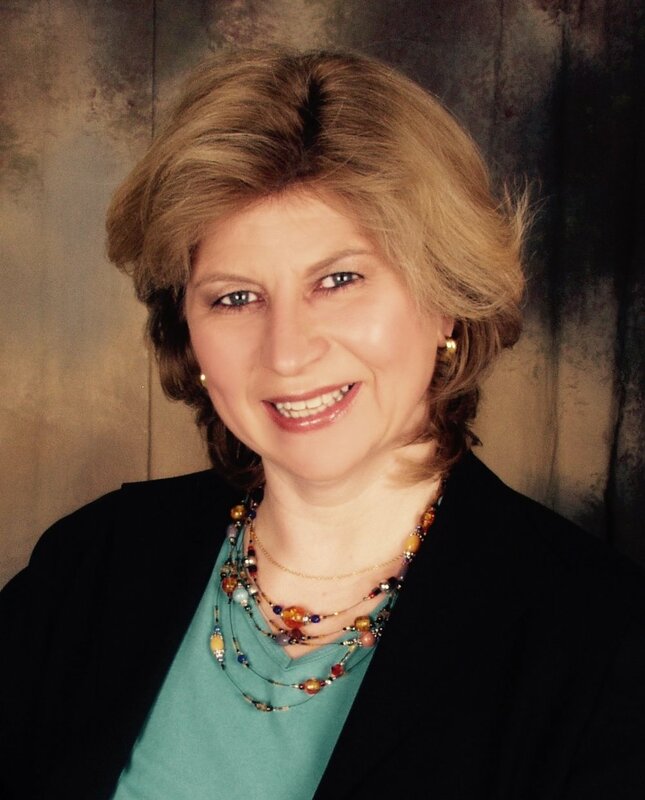 Ms. Cynthia Olcott is co-owner of Horizon Hotels Limited, and directs the property operations system-wide. She also serves as the primary liaison and contact for all hotel franchises. In 1992, Ms. Olcott was appointed Vice President and Director of Operations & Development-West Coast, and in 1995 she was appointed President and Chief Operating Officer. Ms. Olcott works closely with property owners and asset managers to determine and direct priorities for each property, adopting an ownership mentality in all her analysis and decision-making. Under the leadership of Ms. Olcott, Horizon was named Business Partner of the Year by the Department of Treasury, Management Company of the Year and was granted re-certification by the WBENC as a Women Owned business for 2016-2017. Nayana “Nancy” Patel, CHO, emigrated from London, England when she was 11 years old with her family and moved to Marshall, Texas. At an early age of 16, she was working for her parents’ hotels, where she gained hands-on experience. Nancy attended Marshall High School and graduated with distinction. She then completed a degree in Business Management & MIS from Kilgore College in Kilgore, Texas and Macon College in Macon Georgia. Currently, graduated in January 2016 with her lifelong dream of a Bachelors Degree in Business Management which she never was able to finish due to early marriage. She has also been a licensed commercial real estate agent specializing in hospitality. Furthermore her core expertise has been in hotel operations, sales, and management with Best Western, Choice Hotels International, Wyndham and IHG. 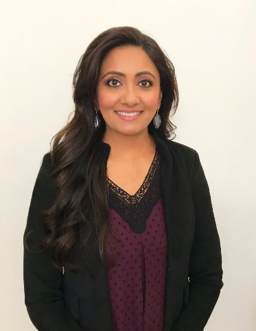 She served as a board of director for AAHOA for the past two years and is currently a part of the WIHL women’s committee and an ambassador for the South Central Texas region; she has served in the past for LPS of Georgia and currently on the executive board on the LPS of USA. Nancy and her husband of 27 years, Bharat Patel, have two children – a 14 year-old daughter, Nishita, and a 24 year-old son, Anam. Nancy and her family have been Georgia residents for the past 20 years. In October 2009 year she has moved with her family to the state of Texas where she owns operates a franchised property under her family company. Nancy is a lifetime member of AAHOA and is a strong believer of this very successful World’s largest hotel Association. During her three years on the AAHOA Board in 2007-2009 as the first lady as a regional director from her region in Georgia, she served diligently on many different teams such as the Women’s Team & creation of WIHL, the Leadership & Education Team, the Communications Team, Revenue & Generations Team and the Franchise/Feedback Team. She was also one of the three board of directors who created this special interest group WIHL as women’s platform in the hospitality industry. She has actively served and continues to serve on the LPS of USA National Board for over 8 years as a female board of director working on many different committees while balancing many hats and the culture. She has been a recipient of the AAHOA's Woman Hotelier of the Year Award in 2005. Also currently this term 2016-2017 she became the first female officer as a treasurer in 27 years history of the LPS of USA a national major Indian community association where she has volunteered her time and passion to serve the community for over the past 8 years. Her reason to join LPS of USA was after her paralyzation from a major car wreck in 1995 and having a miracle recovery with a 2nd life to live she wanted to make a difference with a passion and touch people's lives in a positive way by helping to empower and improve people’s lives thru inspiration & motivation especially women as they are the foundation of the family and play a pivotal role in society. Encourage women to empower each other through grass root levels and break the barrier of competiveness & status quo and build better leaders in our society of the future. Serving selflessly to make a better tomorrow for the community.